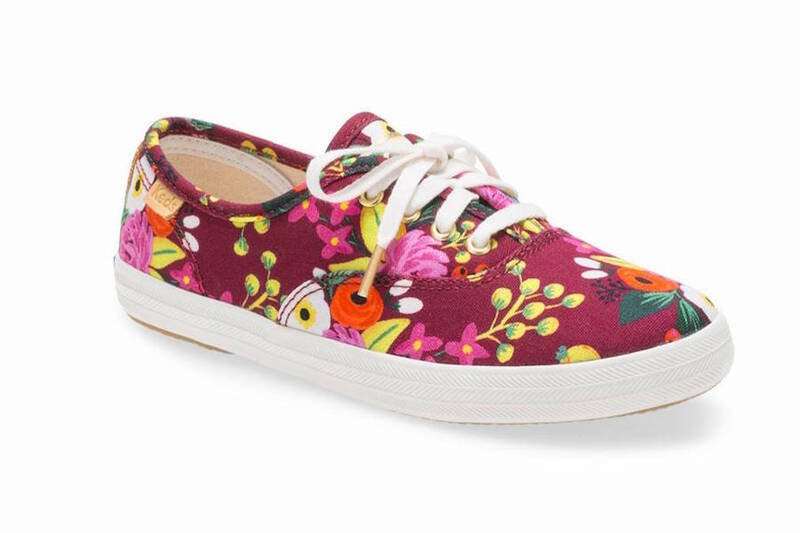 Keds x Rifle Paper Co. are now making their gorgeous floral shoes for kids! The embroidery against the black canvas upper, plus the thicker platform sole makes it so perfectly on-trend with this year’s floral explosion! This lovely embroidered triple-decker herb garden shoe is only for bigger kids, sizes 10.5-6. In fact, you women with smaller feet could probably grab a pair. Related: 5 of the top back-to-school fashion trends, and where to find them for less. 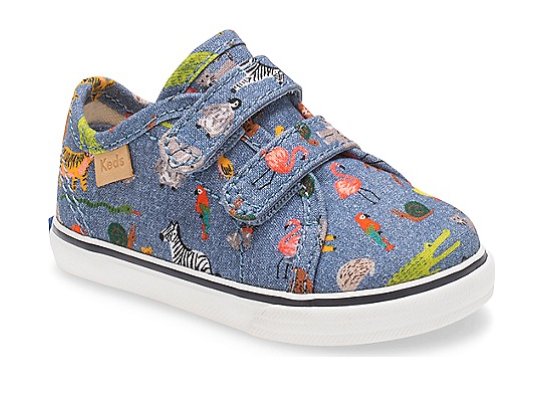 For our littlest kids, this Keds x Rifle Paper crib shoe in a cute zoo print is reserved for little kids and babies. Too cute! Hey, you might even be tempted to do that whole mommy-and-me matchy-matchy thing. In which case, you’re in luck: the Rifle Paper designed Keds are still available in women’s sizes too. Check out the Keds x Rifle Paper Co. shoes in kids’ sizes — and grownup sizes, too!